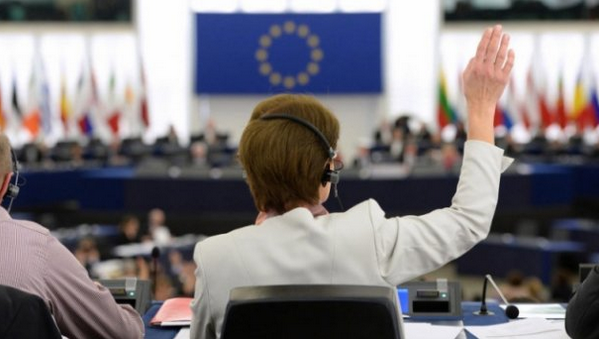 The European Parliament voted in the affirmative for the allocation of the macro-financial aid to Ukraine in the sum of one billion euro as Rikard Jozwiak, the correspondent of Radio Liberty reported on Twitter. It is reported that the third package of the aid was confirmed within the plenary session of the European Parliament. 527 MPs voted in the affirmative, 124 voted against the decision and 29 abstained. “If all goes well, the first tranche can be disbursed in September,” Jozwiak reported. As we reported the European Commission has decided to allocate another package of macro-financial assistance (MFA) worth up to €1 billion to Ukraine for the support of the country’s effort to implement structural reforms and stabilize its economy. Also, the US Agency for International Development (USAID) will allocate $ 125 million to develop the economy of Donbas. It is noted that the funds are intended for the Donbas and "those surrounding territories that have felt the influence of Russian aggression." We recall, the US Agency for International Development USAID provided the Pension Fund of Ukraine with Oracle server system worth $ 1 million, which will improve the operational work of the fund.